Books can pile up in their dozens, leaving you despairing as to where to store them all. This is where our Industrial Chic Open Narrow Bookcase comes in. It'll fit nicely into even minimal spaces whilst making a real style statement to boot. With four fixed shelves as well as an open shelf at the top, you have a considerable amount of storage space for your favourite novels. 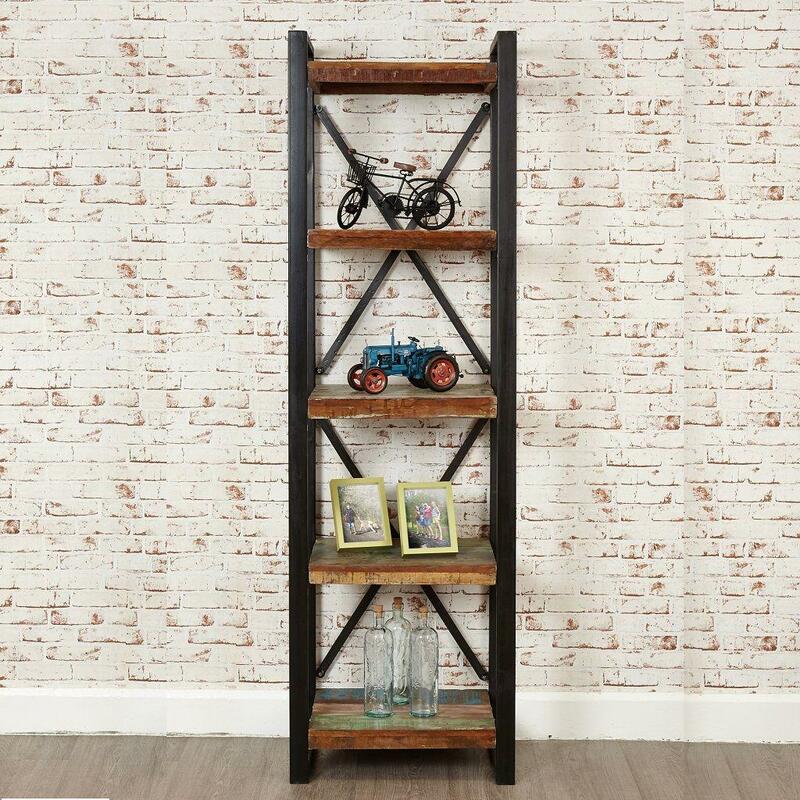 The additional shelf at the top is also an ideal place for any ornaments, lamps or photo frames that youd like to display. 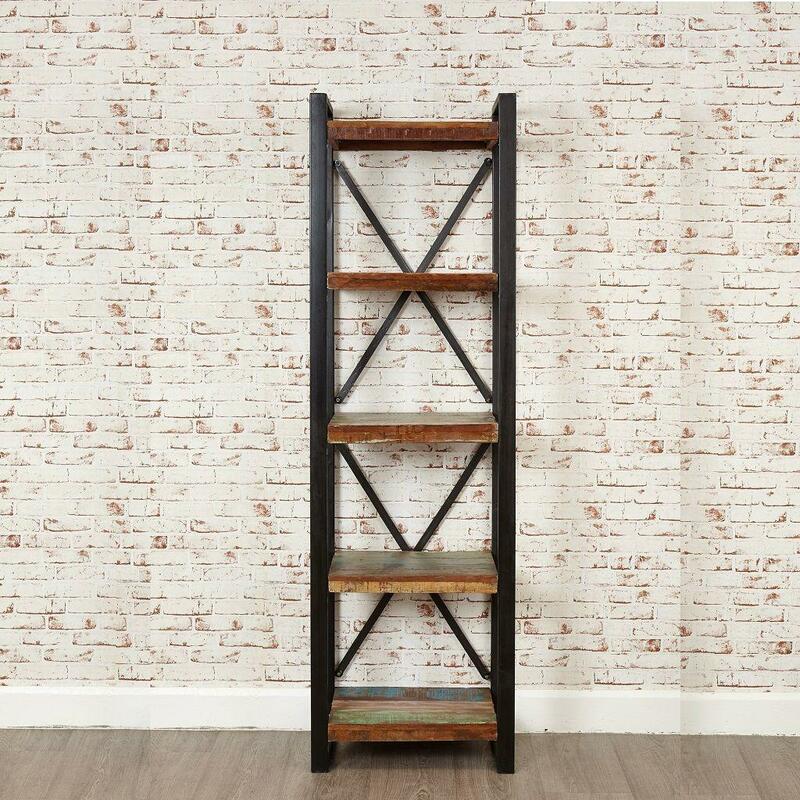 This statement bookcase is made using reclaimed wood salvaged from old boats and buildings in Southern India. The bookcase is completely unique, having being hand finished by skilled craftsman from selected timbers. A beautiful outer frame made from steel gives the piece a modern and urban vibe, making the structure incredibly strong. 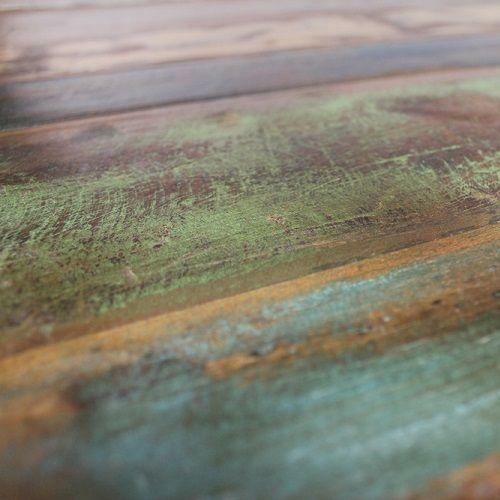 The wood is finished with a resilient satin lacquer which emphasises the beautiful colour.